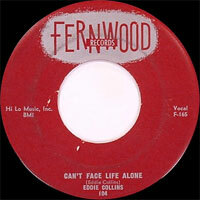 Chanteur Country US, Eddie Collins a enregistré les labels Fernwood (57) et El Rio Records de Memphis (Tennessee). Il fut Vocalsiste du Clyde Leoppard's band. 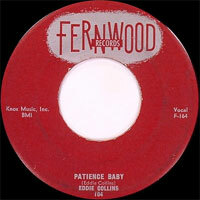 US Country singer, Eddie Collins recorded for labels Fernwood (57) and El Rio Records of Memphis (Tennessee). He was the Vocalsist Clyde Leoppard's band.